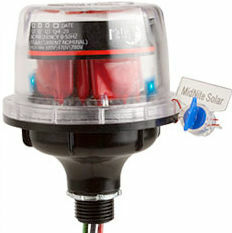 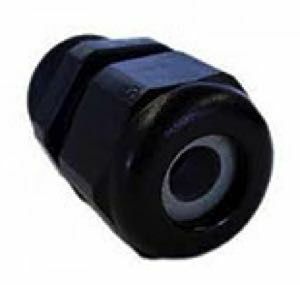 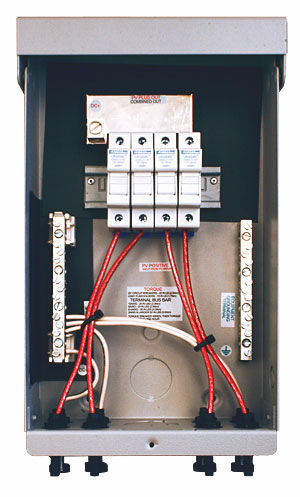 The Pre-wired MNPV4 combiner is rated for outdoor use. 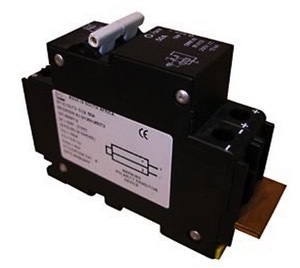 Designed for combining high voltage strings using 10mm x 38mm fuses up to 80 amps total. 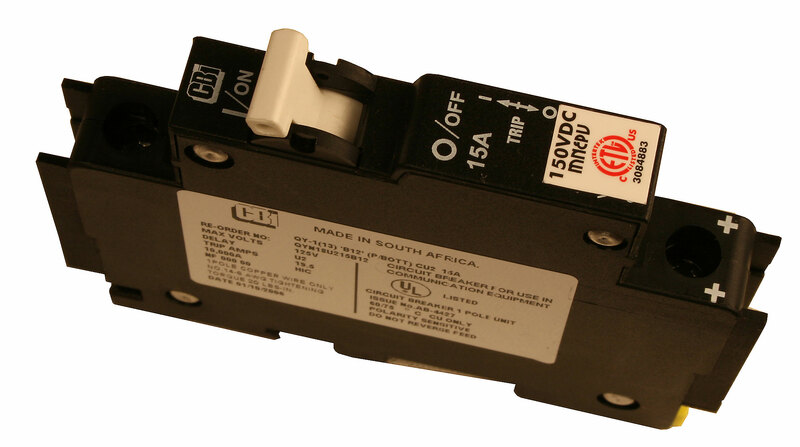 The use of touch safe din rail mount fuse holders ( MNTS) and fuses allow operation up to 600 Volts. 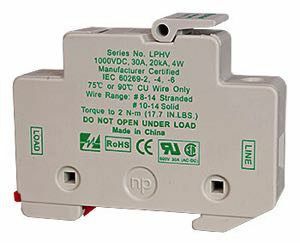 The MNPV4 is rated for up to 80 amps.